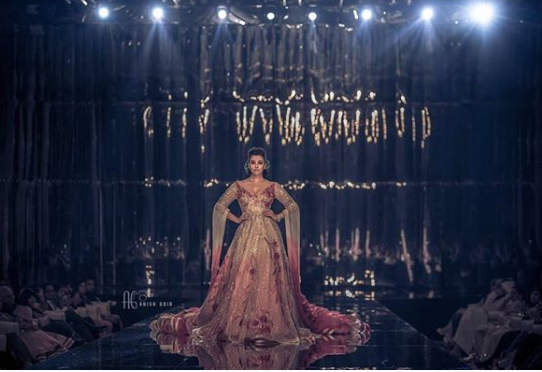 If Bollywood has to mame a celebrity who is the perfect example of beauty with brains, the name that will top the list will be that of beauty queen Aishwarya Rai Bachchan who leaves no stone unturned in taking our hearts away and yet again she did the same as she walked ramp of Fashion Weekend International 2018 in Doha for her dear friend Manish Malhotra. 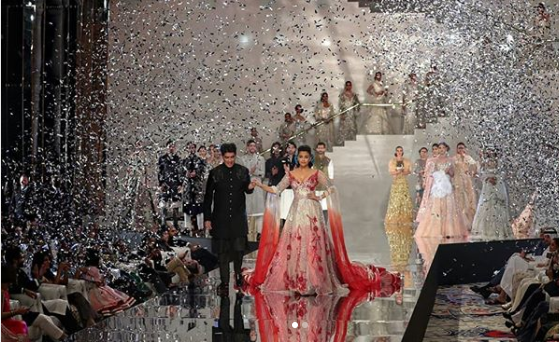 The pictures of the event are doing rounds on the internet and they are so stunning that we don;t have words to describe it. 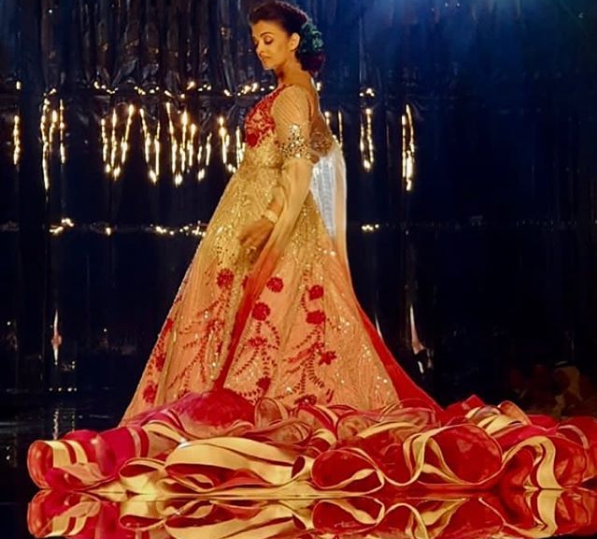 Aishwarya who knows how to carry each and every outfit with elegance and poise did it yet again when she wore the beautiful magnificent pearl white and red gown with beautiful makeup. Aishwarya slayed the look and made us fall in love with her even more. Talking about the work front, she was last seen in Fanney Khan along with Anil Kapoor and Rajkumar Rao but the film was not able to grab the audience but her next project titled as Gulab Jamun is surely something on which we have our eyes on as the movie will have both her and husband Abhishek Bachchan in the leading roles and that too after a long gap of 8 years. For more scoops related to the entertainment world, stay tuned with us!